Ellsberg Tried to Interest Senators - After he and his friend Anthony Russo had copied the documents (see September 29, 1969), Ellsberg had spent months attempting to persuade several antiwar senators, including William Fulbright (D-AR), Charles Mathias Jr (R-MD), George McGovern (D-SD), and Paul “Pete” McCloskey (R-CA), to enter the study into the public record, all to no avail. But McGovern suggested that Ellsberg provide copies of the documents either to the New York Times or the Washington Post. Ellsberg knew Sheehan in Vietnam, and decided that the Times reporter was his best chance for making the documents public. [Reeves, 2001, pp. 333; Moran, 2007] Ellsberg originally gave copies of the documents—later dubbed the “Pentagon Papers”—to Phil Geyelin of the Washington Post, but the Post’s Katherine Graham and Ben Bradlee decided not to publish any of the documents. Ellsberg then gave a copy to Sheehan. Daniel Ellsberg. [Source: PBS / Corbis]The source of the Pentagon Papers leak, former defense consultant Daniel Ellsberg (see March 1971), surrenders to police. He is indicted for theft, conspiracy, and espionage. [National Security Archives, 6/29/2001; Online Highways, 8/18/2007] Almost two years later, all the charges against Ellsberg will be dismissed because of government misconduct (see May 11, 1973). Eugenio Martinez. [Source: public domain]President Nixon’s “Plumbers” unit, tasked to plug media leaks from administration officials and outsiders to the media, burglarizes the Los Angeles office of psychiatrist Lewis Fielding to find damaging information on Daniel Ellsberg, the former defense analyst and patient of Fielding who leaked the “Pentagon Papers” to the media. [Gerald R. Ford Library and Museum, 7/3/2007] Ellsberg is a former Marine captain in Vietnam and protege of Henry Kissinger who had a change of heart over the war; he then leaked a secret set of Pentagon documents to the New York Times detailing how the Kennedy and Johnson administrations had secretly escalated the war in Vietnam (see June 13, 1971). Watergate Connection - One of the burglars is Eugenio Martinez, who later is arrested as one of the five Watergate burglars (see 2:30 a.m.June 17, 1972). Martinez and two others—Felipe de Diego and the mission leader, E. Howard Hunt, who will supervise the Watergate burglary—are all old “CIA hands” heavily involved in anti-Castro activities. Martinez is still active in the CIA, as is Hunt, whom he often refers to by his old CIA code name of “Eduardo.” Another Watergate burglar, CIA agent Bernard Barker, is also involved in the Ellsberg burglary. Washington Post headline from Dean story. [Source: Washington Post]Former White House counsel John Dean has told Watergate investigators that he discussed the Watergate cover-up with President Nixon at least 35 times [Gerald R. Ford Library and Museum, 7/3/2007] between January and April of 1973, according to sources quoted by the Washington Post. Dean plans on testifying to his assertions in the Senate Watergate hearings (see May 17-18, 1973), whether or not he is granted immunity from prosecution. He will also allege that Nixon himself is deeply involved with the Watergate cover-up. Nixon had prior knowledge of payments used to buy the silence of various Watergate conspirators, and knew of offers of executive clemency for the conspirators issued in his name. Dean has little solid evidence besides his own personal knowledge of events inside the White House. 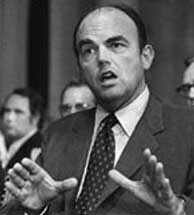 Haldeman, Ehrlichman, Nixon Central Figures in Cover-Up - Dean will testify that two of Nixon’s closest aides, H. R. Haldeman and John Ehrlichman (see April 30, 1973), were also present at many of the meetings where the cover-up was discussed in Nixon’s presence. 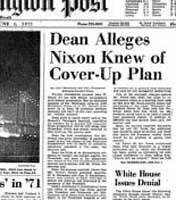 The White House, and Haldeman and Ehrlichman, have tried to portray Dean as the central figure in the Watergate conspiracy, and the Justice Department says there is ample evidence to indict Dean for a number of crimes related to the cover-up. Dean and his supporters paint Dean as a White House loyalist who merely did what he was told, until he began agonizing over the effect Watergate was having on Nixon. Dean alleges that Nixon asked him how much the seven Watergate defendants (see June 17, 1972) would have to be paid to ensure their silence, aside from the $460,000 already paid out; when Dean replied that the cost would be around $1 million, Nixon allegedly replied that such a payoff would be no problem. Dean has told investigators that later Nixon insisted he had been merely “joking” about the payoff. Dean says by that time—March 26—Nixon knew that Dean would be cooperating with the Watergate investigation, and that he believes Nixon was trying to retract the statement for his own legal well-being. Pressured to Confess - Dean has also testified that Nixon tried to force him to sign a letter of resignation that would have amounted to a confession that Dean had directed the Watergate cover-up without the knowledge of Nixon, Haldeman, or Ehrlichman. When Dean refused to sign, he says, Nixon warned him “in the strongest terms” never to reveal the Nixon administration’s covert activities and plans. Dean also says that Nixon personally directed the White House’s efforts to counterattack the press over Watergate (see October 16-November, 1972). Until January 1, Dean has told investigators, he usually reported to Haldeman and Ehrlichman regarding his Watergate-related activities, but after that date Nixon began taking more of an active role in dealing with Dean, and gave Dean direct orders on handling the cover-up. Urgent Trip to See Nixon - Colson could not have been serious, Bernstein says, but the associate replies: “Serious enough for [White House aide] John Caulfield to run out of Colson’s office in a panic. He came straight to John Dean, saying he didn’t ever want to talk to that man Colson again because he was crazy. And that John better do something before it was too late. John caught the first courier flight out to San Clemente [President Nixon’s home in California] to see [then-White House aide John] Ehrlichman. That’s how serious it was.” Ehrlichman indeed shut the operation down before it could start, but the associate implies Ehrlichman’s decision may have been based more on the fact that Dean knew about it than over any shock or outrage over the firebombing plan. Reasoning behind Attack - Colson wanted to firebomb Brookings because former Kissinger aide Morton Halperin, a Brookings fellow, may have had classified State Department documents at the Institute that the White House wanted back. A fire at the Institute would cover up a burglary of Halperin’s office. Confirmation from Associate - Bernstein confirms the story from an associate of Caulfield’s, who clarifies: “Not a fire, a firebombing. That was what Colson thought would do the trick. Caulfield said, ‘This has gone too far’ and [that] he didn’t ever want anything to do with Colson again in his life.” Both Dean and Caulfield told FBI investigators about the plan, Caulfield’s associate says. Providing information concerning ongoing investigations to the White House, and allowing Dean to actually sit in on interviews of White House personnel (see June 22, 1972). Failing to interview key members of CREEP, the Nixon re-election campaign organization, as well as allowing CREEP attorneys to sit in on interviews of CREEP employees and allowing those attorneys access to FBI investigative materials. The report says that the investigation initially focused on James McCord and E. Howard Hunt, and interviewed CREEP officials tied directly to them. The net was widened later on. However, the report acknowledges that many CREEP employees undoubtedly lied to FBI investigators, “most notably John Mitchell, Jeb Magruder, Bart Porter, Sally Harmony, and Maurice Stans.” Porter and Magruder in particular “lied most convincingly.” Another CREEP employee, Robert Reisner (Magruder’s assistant), was not interviewed because Reisner successfully hid from FBI investigators. 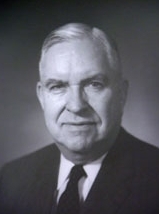 The FBI believes it was Reisner who cleaned out the “Operation Gemstone” files from Magruder’s office (see January 29, 1972 and September 29, 1972). Numerous other financial and other files were also destroyed after being requested by the FBI, most notably Alfred Baldwin’s surveillance tapes and logs from the Democratic offices in the Watergate (see May 29, 1972). Many of these files were destroyed by G. Gordon Liddy. “It is apparent that most [CREEP] people in the summer of 1972 were quite willing to lie and/or tell us considerably less than the full truth,” the report notes. Failure to interview key individuals with knowledge of the suspicious monies found in the burglars’ bank accounts. Failing to secure and execute search warrants for the burglars’ homes, automobiles, and offices. The OPE says that many of those issuing this criticism “should know better,” and claims that the FBI agents involved did their level best to obtain search warrants within the bounds of the law. The report notes that after the burglary, the assistant district attorney prosecuting the case, Earl Silbert, did not believe there was probable cause to search burglar James McCord’s home or office until after July 10, 1972, when Baldwin told the FBI that he had taken surveillance equipment to McCord’s home (see June 17, 1972). Even then, Silbert decided that because of the amount of time—23 days—that had expired, a search warrant would have been pointless. Failing to identify and interview a number of people listed in the burglars’ address books. The OPE report notes that the decision to interview far less than half of the names in the books was made by FBI agents in the Miami field office, and due to the “fast moving extensive investigation which was then being conducted,” the decision to only track down a selected few from the books was right and proper. The report notes that subsequent interviews by reporters of some of the people in the address books elicited no new information. The report also notes that Gray refused to countenance interviews of the remaining subjects in the address book while the trial of the seven burglars (see January 8-11, 1973) was underway. Failure to thoroughly investigate CREEP agent Donald Segretti (see June 27, 1971, and Beyond) and other CREEP operatives. The OPE finds that because Segretti was initially uncooperative with FBI investigators, and because an “extensive investigation” turned up nothing to connect Segretti with the Watergate conspiracy, the agents chose not to continue looking into Segretti’s actions. Only after press reports named Segretti as part of a massive, White House-directed attempt to subvert the elections process (see October 7, 1972) did the FBI discuss reopening its investigation into Segretti. After reviewing its information, the FBI decided again not to bother with Segretti. The OPE finds that the decision was valid, because Segretti had not apparently broken any federal laws, and the FBI does not conduct violations of election laws unless specifically requested to do so by the Justice Department. The report also says that politics were a concern: by opening a large, extensive investigation into the Nixon campaign’s “dirty tricks,” that investigation might have impacted the upcoming presidential elections. Media leaks from within the FBI concerning key details about the investigation (see May 31, 2005). The report finds no evidence to pin the blame for the leaks on any particular individual. The report notes that New York Times reporter John Crewdson seemed to have unwarranted access to FBI documents and files, but says it has turned that matter over to another agency inside the bureau. Failing to interview, or adequately interview, key White House officials such as H. R. Haldeman, Charles Colson, Dwight Chapin, and others. The report justifies the decision not to interview Haldeman because the FBI had no information that Haldeman had any knowledge of, or involvement in, the burglary itself. “Alleged attempt on part of Department of Justice officials to limit, contain, or obstruct FBI investigation.” The report is particularly critical of Kleindienst’s concealment of his contact with Liddy about the burglary (see June 17, 1972). “Alleged attempt by CIA officials to interfere, contain, or impede FBI Watergate investigation.” The report notes that during the Senate Watergate Committee hearings, Republican co-chairman Howard Baker (R-TN) tried repeatedly to assert that the CIA was behind the burglary. The report calls Baker’s theory “intriguing” but says no evidence of CIA involvement on any operational level was ever found. The report notes that there is still no explanation for the discussions regarding the CIA paying the burglars (see June 26-29, 1972), or the CIA’s involvement with Hunt before the burglary—loaning him cameras, providing him with materials for a disguise, and helping Hunt get film from the first burglary developed. According to the report, Gray stopped the FBI from pursuing these leads. The FBI report says that the CIA involvement apparently had nothing to do with the Watergate burglary, but was more in support of Hunt’s activities with the Ellsberg break-in (see September 9, 1971).